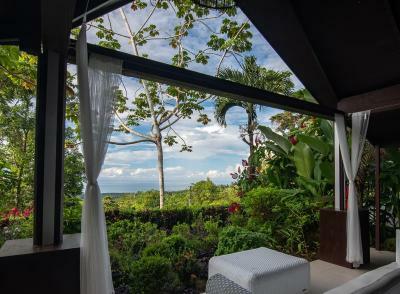 Lock in a great price for Oxygen Jungle Villas – rated 9.3 by recent guests! The stay was beautiful, infinity pool overlooking a Pacific view, tasty meals at reasonable prices. Staff were super friendly, with personalised attention to detail. Saw toucans, humming birds and snakes right here, heard howler monkeys and cicaras!! Beautiful hill setting with impressive pool and views. 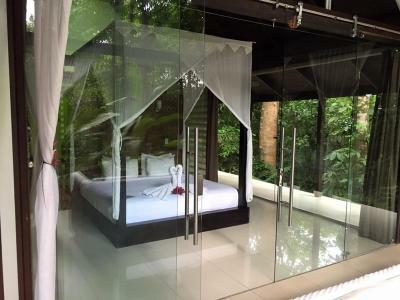 Set in the jungle, you are rewarded by regular toucan and monkeys visits without going to national park:) The most comfortable bedding we experienced during our Costa rican vacation! 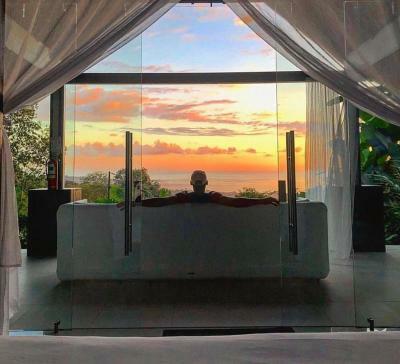 The views from the room and infinite pool are stunning, you simply can’t stop looking. 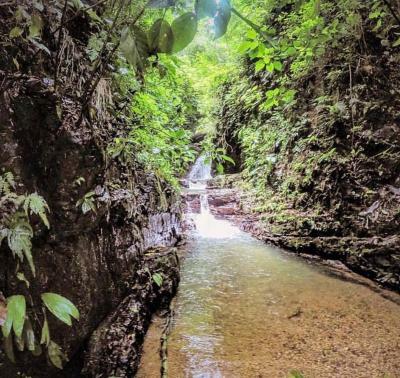 There is a great trail leading to waterfalls within the hotel property, where you can swim in the natural pools. The staff is absolutely incredible. Jose and Roy will make you have the most perfect stay! Everything Was Amazing!!!! I Did Not Want To Leave. Everyone Speaks English. The Whole Staff Is Excellent And Extremely Helpful. The views were incredible and the staff was awesome. 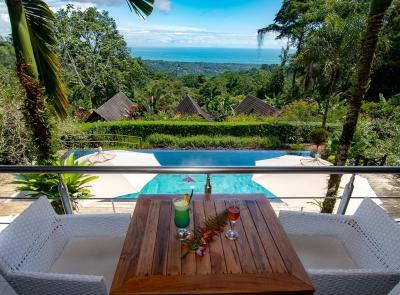 The property is beautiful surrounded by jungle with amazing ocean views from an infinity pool. Very attentive staff willing to help in any way. 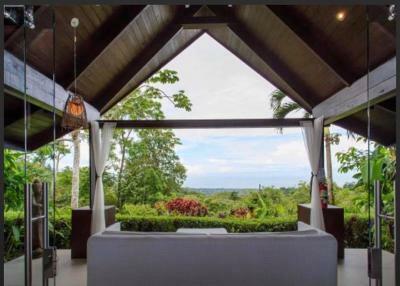 Waterfalls and a spa on the property. The resort made it a special stay for our engagement. The entire hotel is amazing. The hike to the waterfalls and the river. The glass rooms were beautiful. The food was amazing. The staff was extremely friendly. Everything was perfect from checking in to checking out. 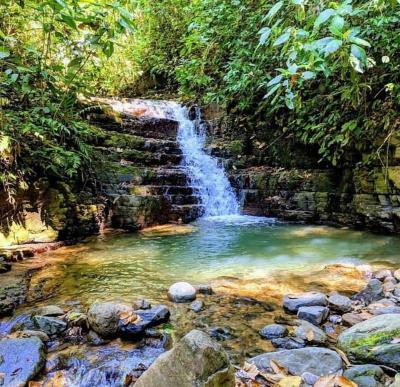 Great food, great service, waterfalls on property, clean, and perfect for those looking for a jungle/rain forest experience like no other. 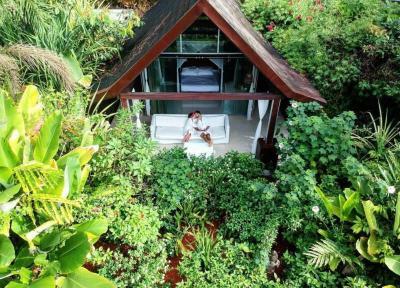 I loved every single thing about my stay at the Oxygen Jungle Villa. 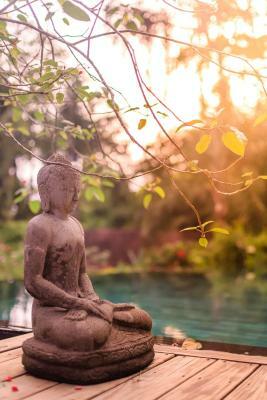 It was magical, serene and relaxing. I highly recommend this hotel for anyone on a solo trip wanting to reflect, relax, and regroup or for an ultimate romantic getaway. The pool and the view are amazing! The staff were really nice! The room is very big. And the bed was supper comfortable!! 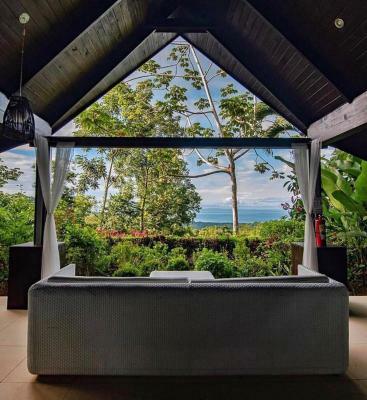 Oxygen Jungle Villas This rating is a reflection of how the property compares to the industry standard when it comes to price, facilities and services available. It's based on a self-evaluation by the property. Use this rating to help choose your stay! 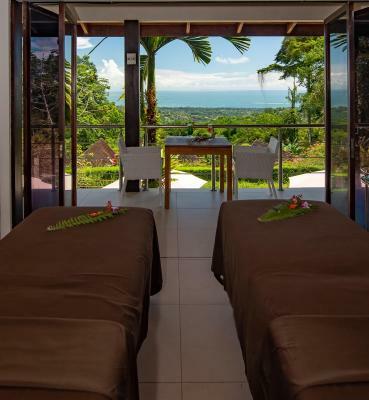 Oxygen Jungle Villas is located 3.1 mi from Playa Hermosa Beach and features an infinity pool, sun decks, spa treatments, Indonesian architecture and free Wi-Fi. 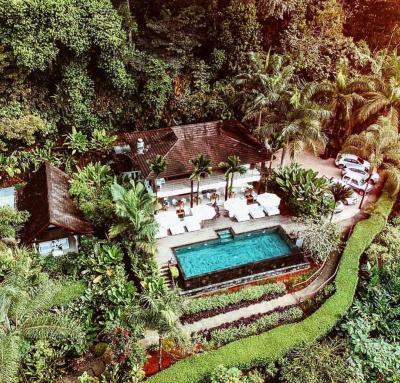 The air-conditioned villas offer modern, tropical-style décor with seating area, safety box, mini-bar, a king-size bed and a terrace with views of the mountain and the ocean. Beautiful private bathrooms come equipped with a rain shower. The Oxygen restaurant offers breakfast, lunch and dinner, with an à la carte menu of international and national gourmet dishes. The bar serves fresh juice, nonalcoholic drinks, spirits, wines, beers and champagne. 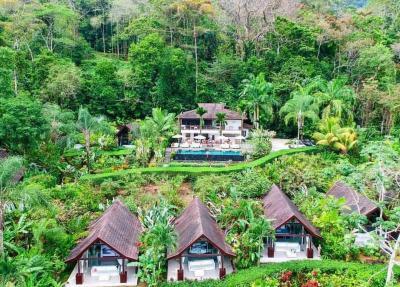 This accommodations can arrange activities as canoeing, rafting, hiking, snorkeling, diving, whale watching, surfing lessons, bird watching, canyoning, kayaking, horseback riding and waterfall viewing. Please note that a 4x4 vehicle is needed to reach the property. Quepos Local Airport is a 45-minute drive away and Juan Santamaría International Airport is 3 hours and 30 minutes' drive away. Shuttles can be arranged from both airports for an additional fee. 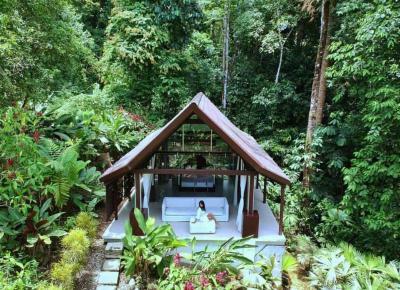 When would you like to stay at Oxygen Jungle Villas? 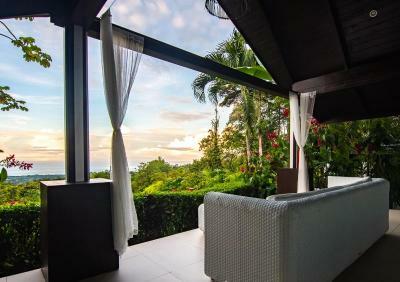 This air-conditioned villa offers seating area, safety box, mini-bar and a terrace with views of the ocean. The bathroom is private and comes with shower. 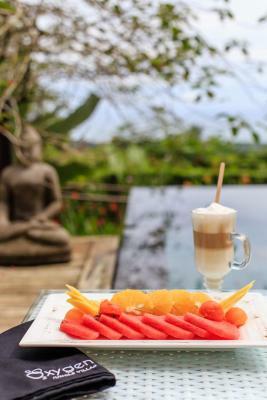 This air-conditioned villa offers seating area, safety box, mini-bar and a terrace with views of the mountain. The bathroom is private and comes with shower. 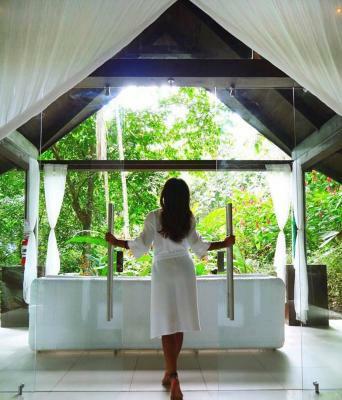 House Rules Oxygen Jungle Villas takes special requests – add in the next step! Oxygen Jungle Villas accepts these cards and reserves the right to temporarily hold an amount prior to arrival. Please note that the reception is closed from 22:00 until 06.30. Literally nothing. I loved it there. Food, service, comfort and amenities were excellent. There is a smoking area right outside the dining area. Suggest the staff do NOT sweep the floor during breakfast, flicking dust etc. Best location of our Honeymoon. Wonderful villas, lovely stuff and excellent food and delicious cocktails. We will come back! 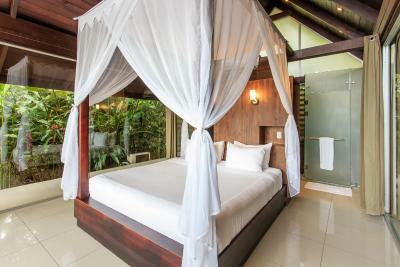 Our most comfortable and relaxing accomodation during our trip to Costa Rica. 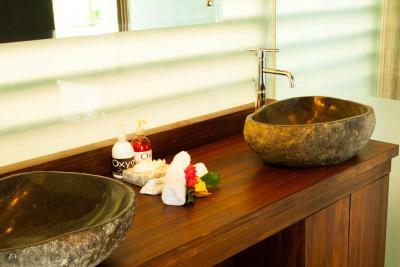 On arrival, one gets the feeling of an oasis of wellbeing and relaxation - we didn't feel like leaving when we had to. We'll definitely be back! The pool area is too small, although beautiful in Balinese style. The hotel is hard to reach on a steep gravel road, but the views on the ocean are worth it. 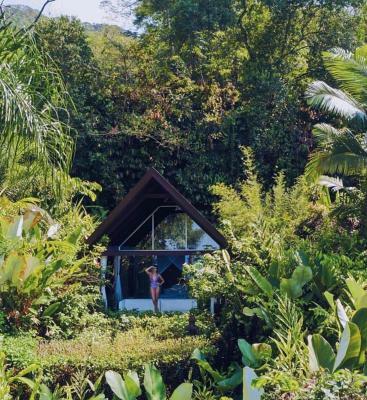 It is like a small paradise, in the middle of the jungle. 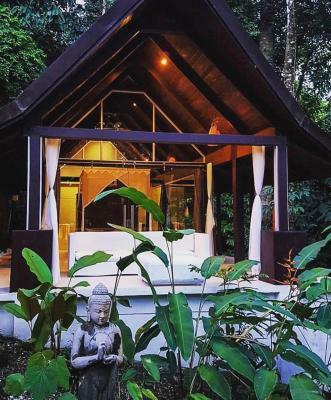 The glass bungalows are beautiful, surrounded by a wonderful nature. 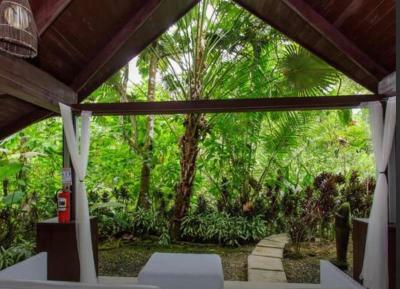 The jungle paths are available in front of your room. 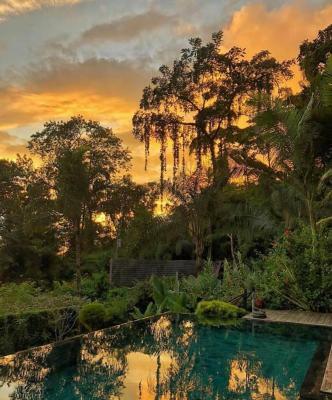 You can jump out of bed at dawn and experience the jungle waking up! The staff was very friendly and attentive. 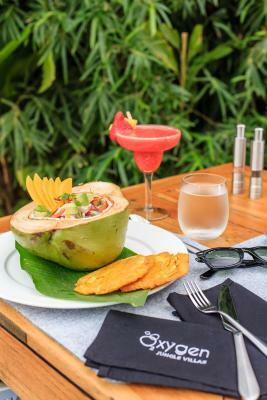 The restaurant is good, but you can also find better in Uvita. We always choose boutique hotels on our vacations and comparing to other places we have been to, the price for this one seems to be quite high. 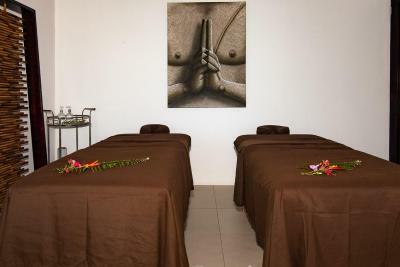 For the night rate paid we would have expected something extra (free watter bottles every day, fresh fruit in the common areas, small gift from the hotel or similar small favour which would make your stay just unforgettable). Walking outside the hotel is no possible, you must have a car or you can go by taxi. 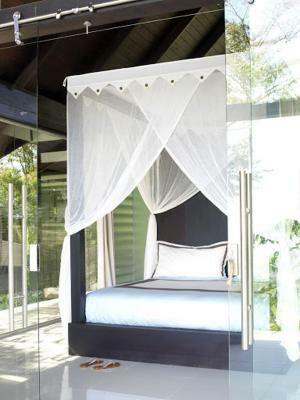 Simply perfect to stay hier and do nothing. Wow is all I can say. We spent three nights here for our honeymoon and have never stayed somewhere so nice! The staff, the pool, the villa and views were simply amazing. A once in a lifetime accomodation. How on earth will any other holiday compare/when can we go back?! Truly outstanding location with phenomenal views, this was without doubt one of the most beautiful places I’ve ever stayed. 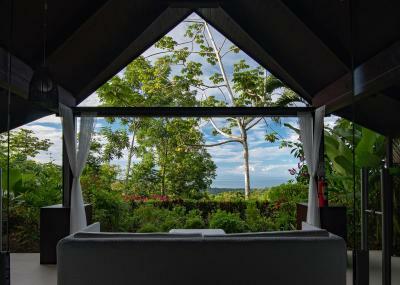 Our jungle facing villa was exquisite and the most private on site (no. 12). The staff were exceptionally friendly and helpful. The restaurant was fantastic. Faultless experience. Breakfast included! The restaurant was overpriced. Beautiful pool, views and room! The friendly and super available service which seemed to be customised for each and every clients! The wonderful villas into the jungle, providing a unique experience with transparent "glass walls" (we saw and heard monkeys, humingbirds and plenty of other exotic animals from our bed), the delicious food from the restaurant (tuna was amazing), the advice and sound recommendations from the staffs abput locations, activities and things to do around and even in far away places. The pool has a very nice view on the ocean and cano island!!!!! Super relaxing atmosphere.